Sources: Use this chart with the Surname Index for additional information on those whose surame was Dunnuck. The Surname Index also carries more specific source information. Always verify against original sources. While most of the information is carefully researched, some comes from many years ago. These old papers have been handed along within various families and the name and sources of the original researcher have been lost. Other information has been donated without supporting data. In many cases the same information came from numerous people and places. The original "seed" information came my grandmother Ruby DUNNUCK NUSBAUM (d. 1962) and her friend Helen "Marie DUNNUCK COLEMAN (d. in the 1980's). Descendants of Elisha, especially that of Abraham and Dorothea (Rentzel) Dunnuck are from David L. Dunnuck, a direct descendant. Decendants of Elizabeth and Cyrus KNEEPER were donated by PAUL YODER, a High School Junior, just beginning his genealogy in Dec. 2000 - his primary source was work done by DONNABELLE PFEIFFER "Ancestors of Mildred Eizinger"
BARR, BURKHART, COBB, DICKEY, DILSAVER, EIZINGER G., EIZINGER M., ELDRIDGE, EVERSOL, FAULKNER, FOUTCH, GRAY, GORSUCH, GRUBE, GUINEE, GUY, HAUPTOFF, HEIRS, HUGHES, KEPHERT, KEYS, KNAPP, KNAPENSHAE, KNEPPER, McKRELL, LINN, LYNCH, MARSH, MILLER, MILLER, OREM, PEMBROOK, RENTZEL, SAUER, STOOKEY, TEEL, THOMAS WALTERS, WELSH, WHEELER. .
1. John DUNNOCK 1773 - 1846 . . .
+ yes +children yes. Went by surname of Dunnuck. + #2 William ADAMS (1914-1998) . . . .
4. Abraham continued ( LDS file # by Harley M. Schmidt of Peru, IN shows Abraham with a 2nd wife. I have no supporting colaborating information on this..
7. Gary Lewis "Skip" JUDD b. 1944 Indianapolis, IN d.Jan. 24, 2009 Indianapolis, lived in Bargersville, IN. +Nellie MORAN 1885 - 1980 - m. April 14, 1918 (Nellie had 3 or 4 husbands) and brought two children into the marriage Agnes Holand b. 1913. & Milton b. 1915. (Don't know if Milton was a Holland or Wiegleman. Milton went by the Surname Dunnuck. Agnes (nee Moran) Holland, Wiegleman, Dunnuck, & Moore - Don't find proof that she married Moore. Buried as a Dunnuck. 6. Carol (Mrs. Major) deceased. +James H. ELDRIDGE / ELDREDGE Miami Co. IN March 29, 1900.
. . . . .as of 1898 Mary had 9 grandchildren. b. 8 Oct 1861 in Kosciusko Co., Indiana. She died on 19 Apr 1941 in Warsaw, Kosciusko Co., Indiana. 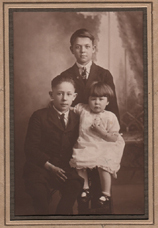 5) Cyrus J. KNEPPER, b. Aug 4, 1889 in Kosciusko Co. IN, d. January 20, 1920. 5) Nellie Cleo KNEPPER, b. Jan 2, 1891, Kosciusko Co. IN d. April 28, 1983 Plymouth, Marshall Co. IN, Bur Sandridge Cem. 6) Violet Marie FAULKNER b. Oct. 24, 1910. Kosciusko, Co. IN. 6) Warren G. FAULKNER b. Nov. 9, 1920 Bourbon, IN. Jan 14, 1987, Rochester, Fulton Co. IN. d. 24 April 1979, Plymouth, Marshall Co. IN. bur Summit Chapel Cem., Bourbon Co. IN. b. June 3, 1919 Nappanee, IN, d. Dec. 2, 1988 at Elkhart IN.- d. bur. same. He was son of Chester and Christiana Walters. 4 William Chester MILLER b. 22 August 1869 d. New Castle, Henry County, IN, buried South Mound Cem., Henry Co. IN. 4. Cora MILLER b. Dec. 1871, d. Dec. 24, 1871, buried at Pleasant View Cemetery. Kosciusko Co. IN. 4 Sarah Margaret "Sade" MILLER b. February 25, 1876-October 22, 1954 at Warsaw, IN. buried Union Cemetery. Sarah was his 2nd wife. 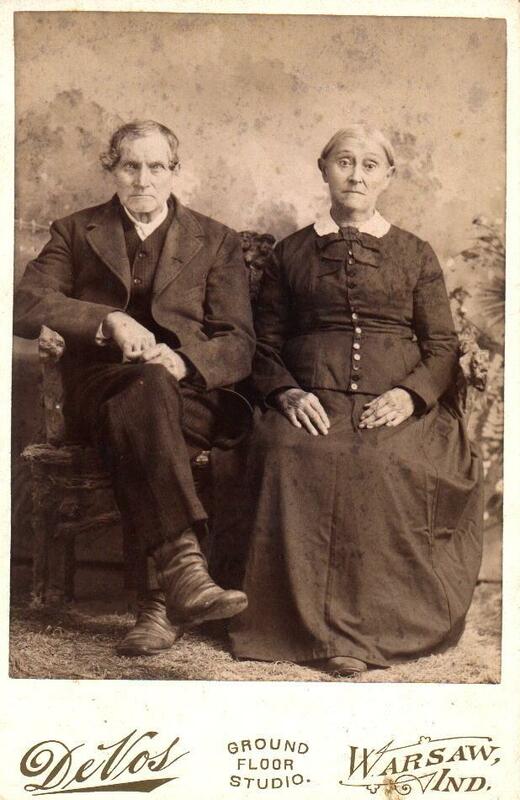 Both listed in the Kosciusko 1930 Census, James E 59 and Sarah M. 56. Farmed until he received a call into the ministry. Winona Seminary - United Brethren minister in northern IN. (lived in Vicksburg MISS for 49 years. 5. Loyd Dean MILLER b. Feb. 22, 1901- 20 April 1968. 4 Rose MILLER b. Dec. 1881 in IN, d. July 1967 Pinellas Co. FL. . . + Albert J. PEMBROOK m. Jan 1906, Kosciusko Co. IN (b. 1884 - d. Feb. 1966) (1930 census lists him as Alfred J.)?? Rose, Alfred J. and Betty are listed in FL in the 1930 census in Pasco County. 4 Thomas Edward "Edward" MILLER b. December 27, 1885 Warsaw, Kosciusko Co. IN, d. October 14, 1949 at Fort Wayne, Allen County, IN. Buried Decatur Cemetery, Adams County, IN. d. April 11, 1956 at Indianapolis, Marion Co. IN. buried Round Hill Cemetery in Marion Co.
3. Infant Dau. - bur Kosciusko Co. IN.